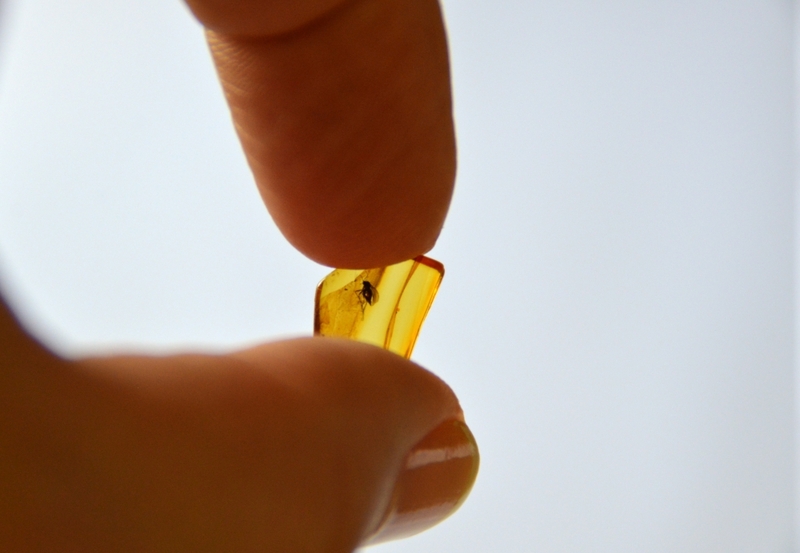 My daughter just brought this piece of Baltic amber from Poland. The person that gave it to her said it contains a flea, but somehow it doesn't look like that to me. Can you help me identify this insect? You are right, it is not a flea; it appears to be in the order Diptera (true flies). I agree, not a flea. Auspex is right this is a Dipteran, likely one of the midges. I allso study mostly baltic amber at this time for inclusions, among many other things. I use a stereo microscope to help identify certain specimens. A stereo microscope is a very usefull tool for micro paleontology, and allso very usefull for larger specimens and general biology work. If you don`t have an stereo microscope and purchase one you will find out what i`m saying.